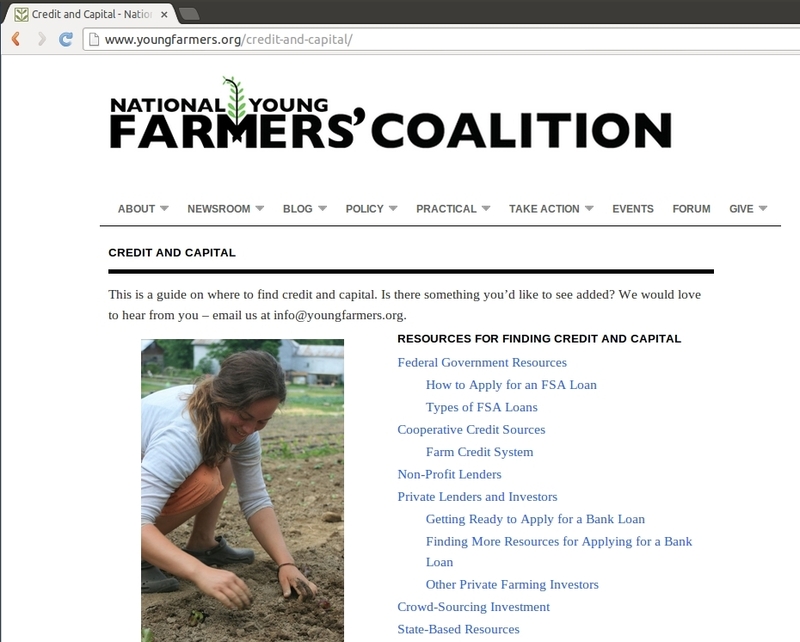 One of NYFC’s main goals is to be a go-to resource for you, the farmer (or aspiring farmer!). We do our best to connect you to the information that you need with clear explanations and an easy-to-use website. Two information portals that the youngfarmers.org web site has to offer are our list of training opportunities (broken down state by state, as well as national programs), and land and jobs directories, whether you’re looking to work, buy or to hire. These two directories get a lot of traffic, and we’re thrilled to be able to connect you to the right resources. The goal behind them is to help you get the right information, tailored to your region. Whether you’re seeking farm business training in South Dakota (available from Dakota Rural Action!) or a land-link program in Colorado (find it here! ), you’ll find it on youngfarmers.org. In an effort to address the third leg of a successful career in farm ownership (training and jobs can only get you so far, after all! ), we are pleased to introduce our new Capital and Credit Guide! and finally, some places to look for non-traditional funding. Check out the page today! As with the other two directories, this Credit and Capital page will continually improve with your input! Is there a program, resource, or organization that we missed? Let us know your additions at info@youngfarmers.org and we’ll be sure to include them. « previous article: Act now for beginning farmers – support the Opportunity Act!